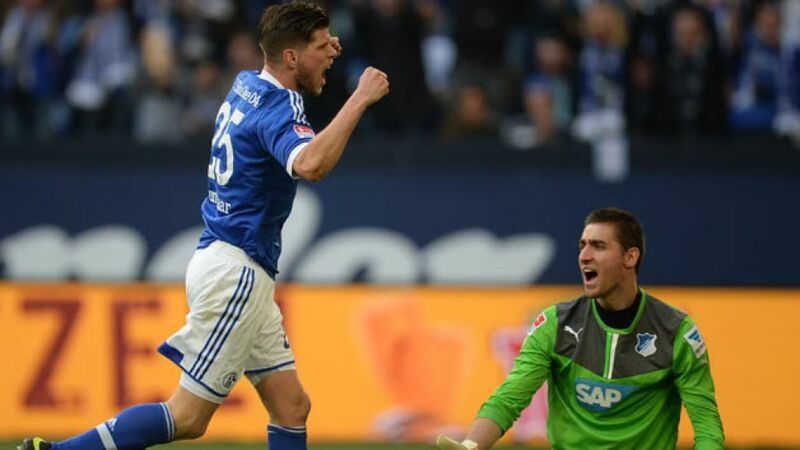 Gelsenkirchen - Klaas-Jan Huntelaar scored a hat-trick as FC Schalke 04 recorded an emphatic 4-0 win over 1899 Hoffenheim. Chinedu Obasi also got in on the act after Schalke's poacher extraordinaire had missed the chance to add to his tally from the spot. Hoping to bounce back from heavy defeats to FC Bayern München, as well as Real Madrid CF in the UEFA Champions League, the Royal Blues were rewarded for their bright start when Huntelaar slotted in from Joel Matip only six minutes into the game. 1899 reacted well to that early setback, with the visitors' best opportunity falling to Kevin Volland, who saw his effort brilliantly palmed away by Ralf Fährmann in the Schalke goal. The home side were sitting deep, looking to outfox Hoffenheim on the counter, and it was a ploy that paid dividends as Julian Draxler released Huntelaar, whose well-placed strike found the bottom right corner of the net. The 30-year-old should have added his third after Tim Hoogland was felled in the box by Eugen Polanski, but saw his penalty beaten away by Casteels. Schalke were far and above the superior outfit and soon made up for Huntelaar's spot-kick miss as Kevin-Prince Boateng's pin-point pass fell to Obasi, who fired home his first goal in over two years - and against his former club at that. Hoffenheim could have pulled one back through Modeste, who saw an effort from inside the box fly wide, before Roberto Firmino, scorer of five goals in his previous four outings, and substitute Sven Schipplock failed to convert from close range. Schalke's fourth goal came 11 minutes from time, with Draxler's teasing run and cut-back expertly tucked away by Huntelaar to seal three well-earned points and bring an end to Hoffenheim's three-game unbeaten streak.